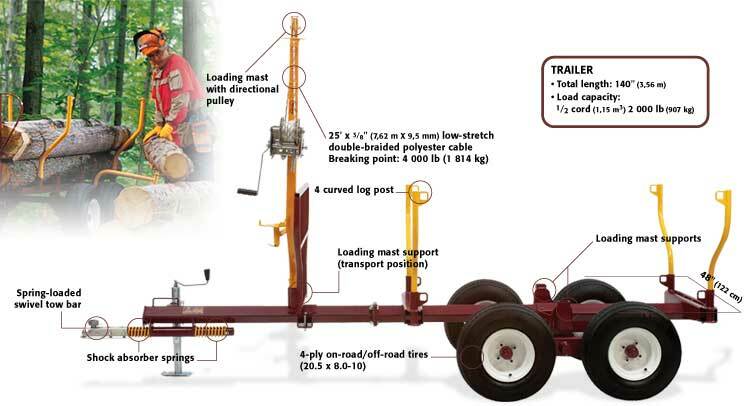 Designed for forwarding logs of various lengths. Loading mast with 2300 lb (1043 kg)hand winch will load logs up to 24" (61 cm) diameter into trailer. Loading pivot will help you load smaller logs efficiently with minimal effort. On-site loading and forwarding of 4 to 16 logs (1.22 m to 4.88 m).